We can Digg it. @teddyb_h2o connects with @stefon_diggs for 25 yards on the third down. Hello Mr Diggs, Goodbye Mr Patterson! A missed FG gives DEN the ball. On a miserable day for NFL kickers, Blair Walsh just joined the club. Let's end this horrific kicking game right now. Both Locke and Walsh should be history! LB's nowhere to be found on that one! VIKINGS sure FOLDED EARLY today!!! A DEN TD gives them a 10-0 lead with 11:24 left in the 2nd quarter. 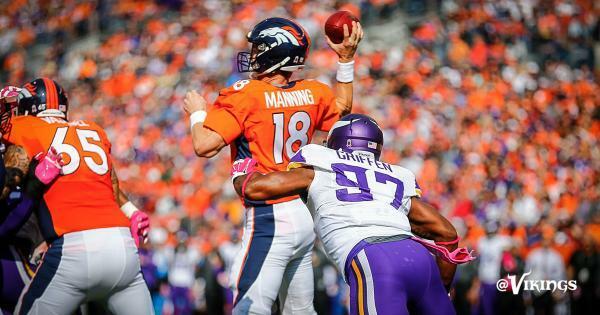 Broncos hadn't rushed for 70 yards in one game in their first three games. They just rushed for 72 and a TD in one play vs. Vikings. 10-0. 72-yd rush TD by @MrHillman2U ties for 4th longest rushing score in Broncos history. 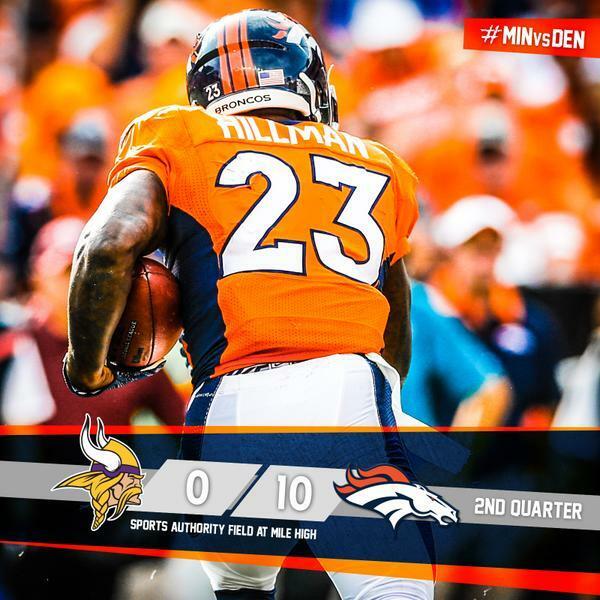 A #Vikings punt and DEN will take over with a 10-0 lead. If we can't stop the run, Peyton will just eat us up with his passing. Weekend of Hope in Minnesota sports has featured five-plus quarters of football between the Gophers and Vikings. So far, outscored 37-0. WELSH IS THE GOAT! !....just kills a team when kicker make make CHIT!!
. @Brian_Robison gets the sack on 3rd down! Roberson is an Idiot. He should look at the scoreboard! Twins drew 2,220,054 to Target Field, an increase of about 24,000 (or 300/game) over last year. 1st time TF attendance has gone up, though.